The final trailer for the hotly anticipated film Fantastic Beasts and Where to Find Them from writer J.K. Rowling has been released. This most recent trailer gives us our best look yet at what to expect from the film, which features wizards, witches and creatures based in the Harry Potter universe. Oscar winner Eddie Redmayne plays the lead role in the film and is joined by Katherine Waterston, Dan Fogler, Ezra Miller, John Voight and Colin Farrell, who plays the film’s antagonist. Director David Yates returns to this cinematic universe for the fifth time, after having directed four Harry Potter films in the past. With the massive fanbase behind author J.K. Rowling’s work, this film will almost certainly be a financial success and could potentially spawn a series of sequels. The trailers for the film have all been impressive so far, so we can only hope the film ends up being as good as it looks in the trailers. With this great cast and director behind it though, it’s fair to say that we should be in for an entertaining cinematic experience. 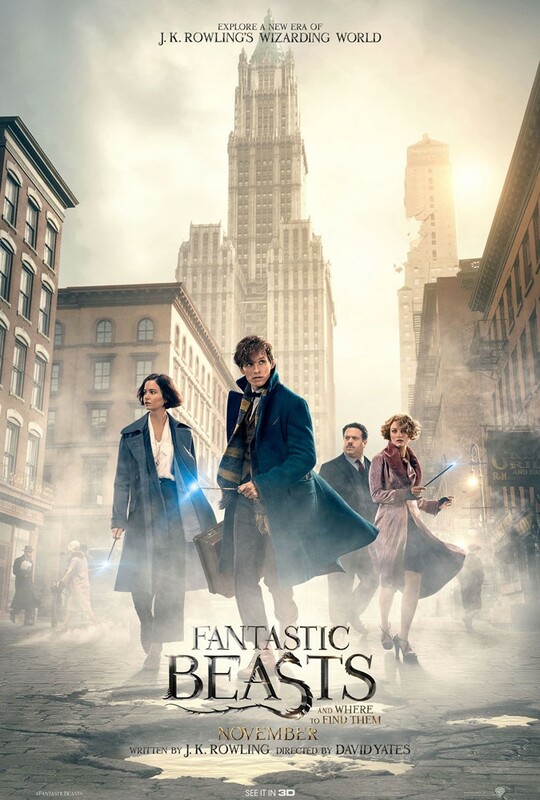 Fantastic Beasts and Where to Find Them releases in Australian cinemas on November 17, 2016. Check out the final trailer for the film below, along with a look at a new poster for the film.